Do you grind or clench your teeth? Grinding and clenching your teeth is a medical condition known as bruxism, and over time, it can have a seriously detrimental effect on your teeth. Bruxism can also lead to another medical condition, temporomandibular joint disorder (TMJ). In this condition, the joint where your lower jaw connects to your skull becomes inflamed and painful. Your partner may also be the first to identify your bruxism since the sound of someone grinding their teeth is often unmistakable. If you suspect bruxism, make an appointment with Dothan Dental Group to be evaluated right away. Leaving this problem undiagnosed and untreated can lead to serious damage to your teeth including erosion, chipping, cracking, and eventually, tooth loss. Fortunately, we can treat these two uncomfortable and frustrating conditions. If you suspect bruxism or TMJ, please call today for an evaluation so we can get started right away creating a treatment plan to give you the relief you need and deserve. Splint therapy using occlusal guards has been shown to give relief from the symptoms of bruxism and TMJ. These guards, which are similar to orthodontic retainers or the mouth guards used in sports, are worn while you sleep and hold your jaw in a relaxed position to prevent clenching and grinding from occurring. The relaxed position also allows your temporomandibular joint to relax, which helps to reduce the inflammation of TMJ. 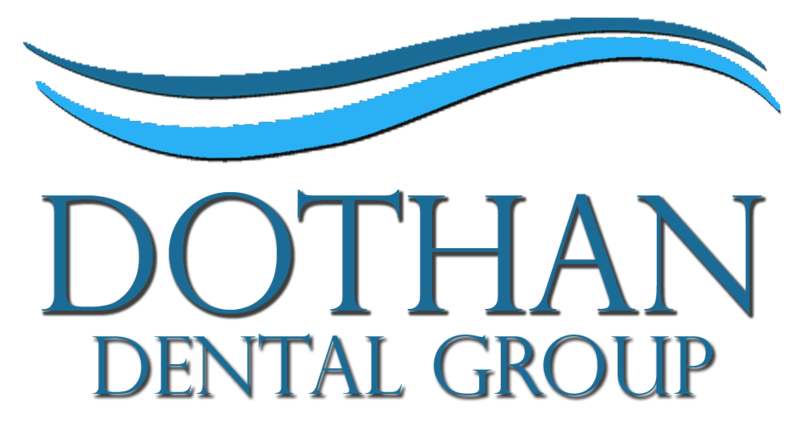 When you call Dothan Dental Group for your appointment, Dr. Matthews will perform a thorough examination – which may include x-rays, discuss your symptoms with you to pinpoint your problem, and then work with you to find the solution that is right for you. You don’t have to live with the discomfort that bruxism and TMJ cause. Call our office today to schedule your appointment.